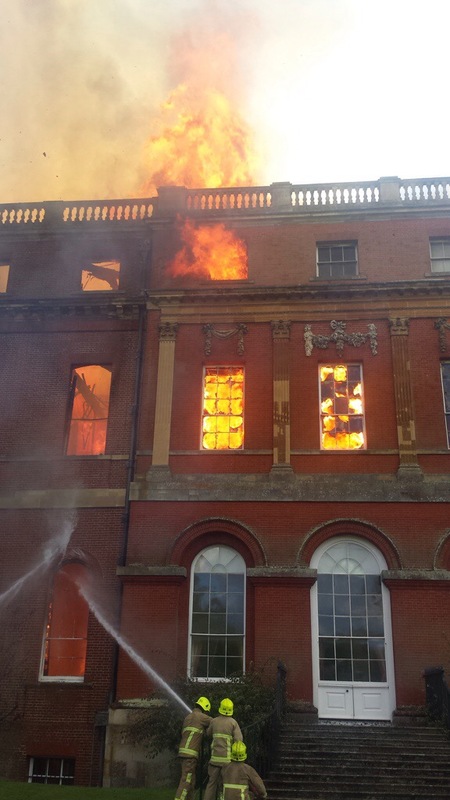 A spokesman for Surrey Fire and Rescue Service said: “The fire at Clandon Park is now out by unfortunately this historic building has been severely damaged. 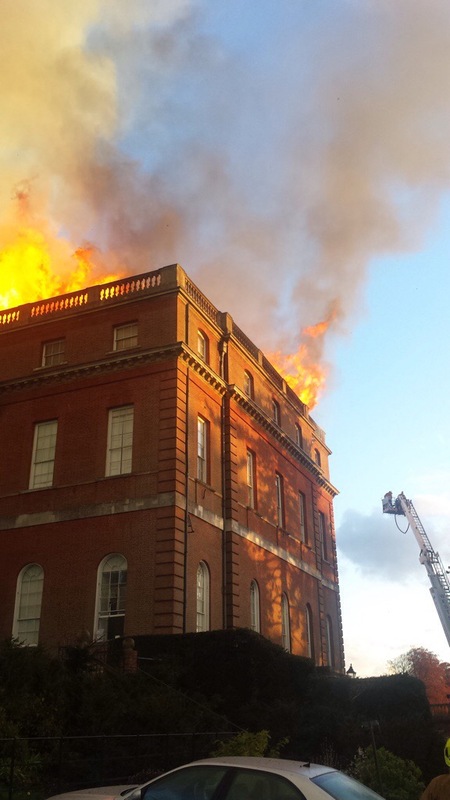 Firefighters fought incredibly hard in difficult circumstances to save historic paintings and Regimental Colours that were in the burning building while our registrars are also working to try and accommodate any couples that were due to get married at the venue. 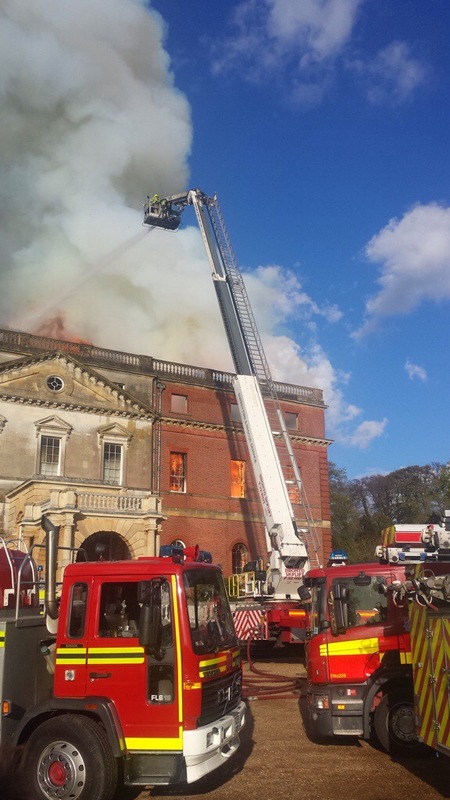 A spokesman for Surrey Fire and Rescue Service said: “Fire crews are still tackling the Clandon Park blaze but the operation is now being scaled back now – Around 30 firefighters, six engines including an aerial ladder platform and a high volume pump remain on the scene. 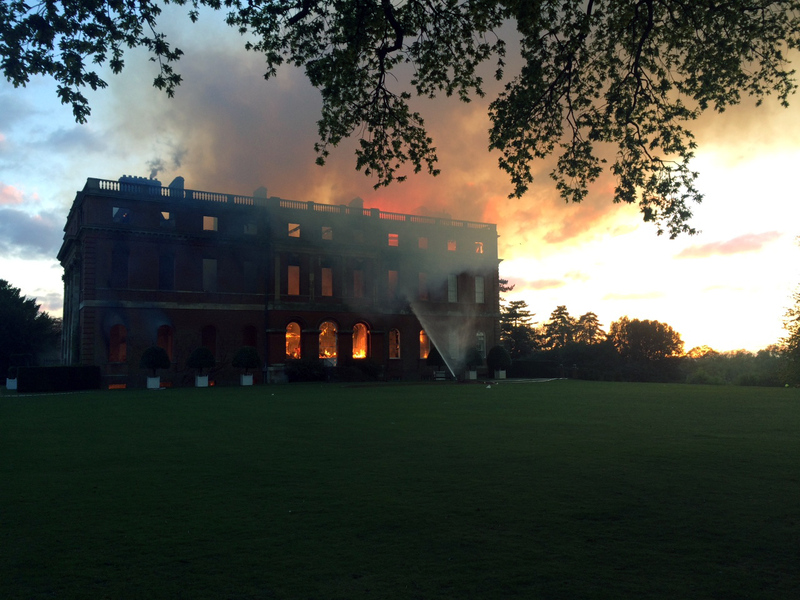 A spokesman for Surrey Fire and Rescue Service said: “This afternoon at 4.09pm we were called to a fire at Clandon Park, West Clandon, Surrey, a stately home owned and managed by the National Trust. 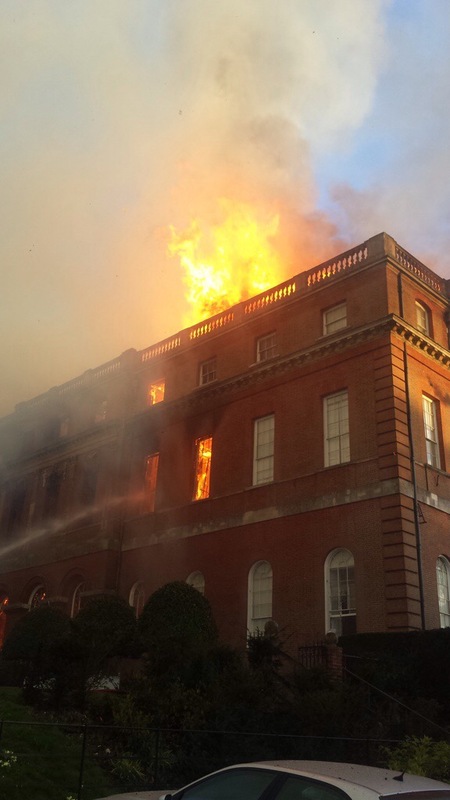 “On arrival, firefighters were faced with a significant fire throughout the building which is believed to have started in the basement and quickly spread to the roof. 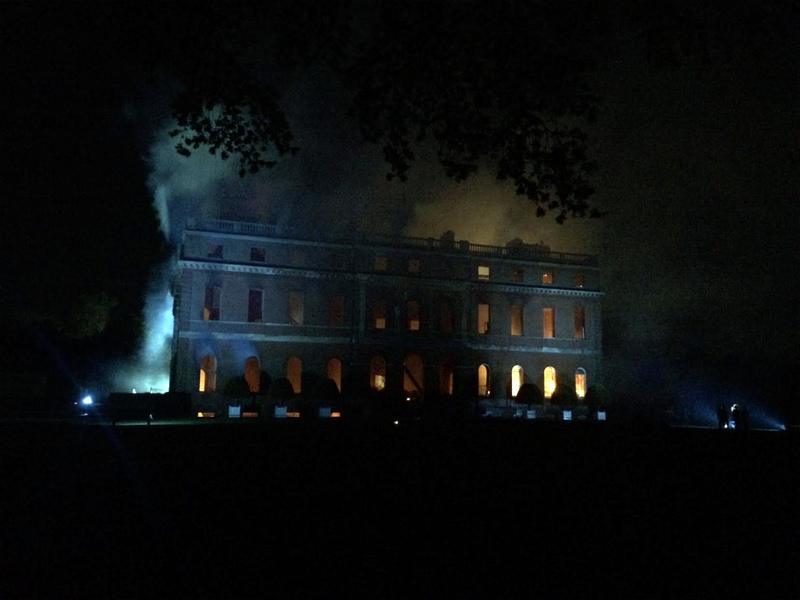 “Firefighters from Surrey, West Sussex and Hampshire are now tackling the blaze as well as seeking to save artefacts from the property as part of a multi-agency response including the National Trust and police. 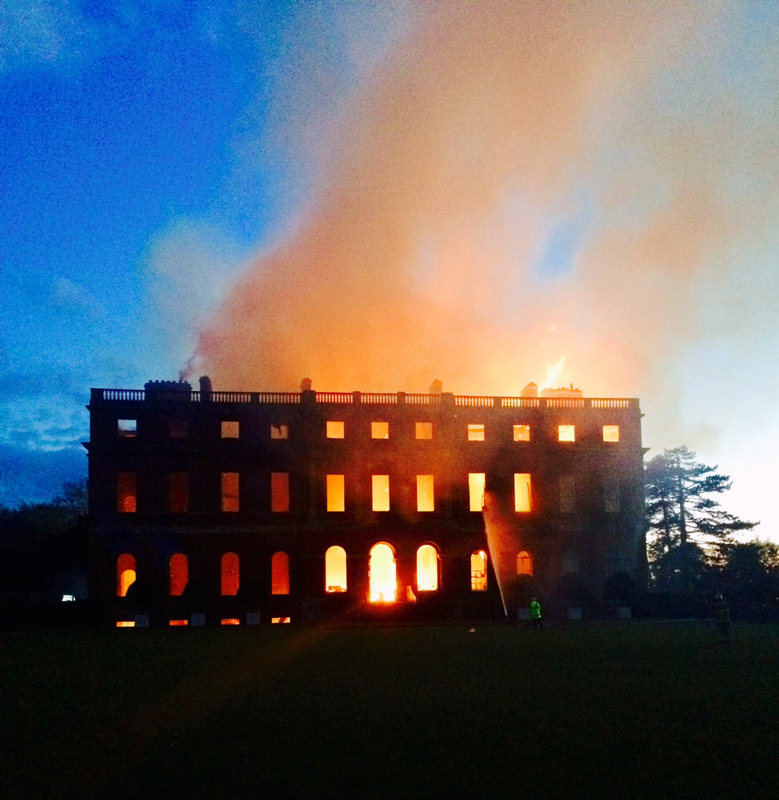 In total, sixteen fire engines, including two aerial ladder platforms, a number of water carriers and specialist appliances have been at the scene.